Ever since Washington legalized recreational cannabis, law enforcement officials have focused more on the traffic of weed across the state border. In 2017, Idaho confiscated almost three times the weed that they had the year prior. Part of the problem has been faults in the tracking system implemented by the Washington Liquor Control and Cannabis Board (LCB), which is currently mired in security issues. Another issue is the abundance of recreational product. In a billion-dollar sales market, it's become nearly impossible for the state to track cannabis products throughout the process. Prior to switching to the tracking service of MJ Freeway, the state had been manually entering more than 404,000 individual spreadsheets into a central storage server. "Practically speaking, the LCB has been flying blind with respect to the inventory status of the market," data scientist Jim MacRae told the Seattle Times. The piled-up server is accessible to state regulators, but too cluttered to find files and quickly conduct audits on businesses. MJ Freeway's system for Washington, Leaf Data Systems, has already fallen victim to data breaches since the beginning of February. Technical difficulties even derailed wholesale transactions for a week. 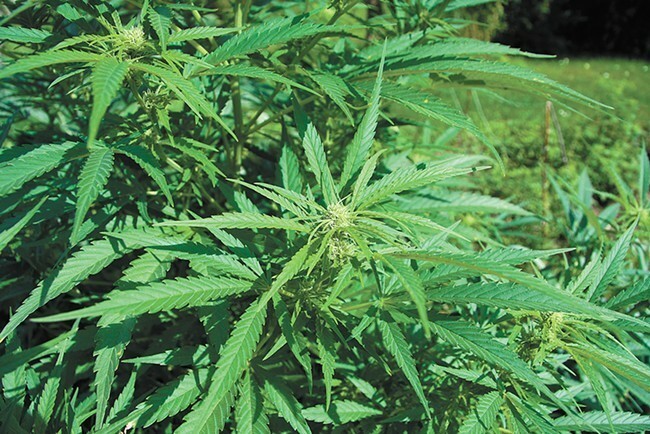 The overgrowth of cannabis crops only compounds the problems. Grams of pot are now as cheap as gallons of milk at many dispensaries. That price point has capped the cash flow for smaller grow operations throughout the state, potentially making moves to the black market tempting. "Most of the farmers I know are honest people," MacRae told the Times. "But I don't think people are wanting to lose their farms, licenses, business, houses ... If they can't sell, they will either wither and die on the vine or they generate revenue (illicitly)." Until the Leaf Data Systems' kinks are worked out, diversion to Idaho and other prohibition states will remain an issue. The original print version of this article was headlined "Borderland Bud"